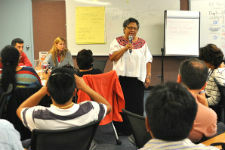 Following the elevator pitches presentations, Mirna Cunningham, the Indigenous Adviser to the President of the General Assembly, spoke to the participants about the relationship between indigenous peoples and the United Nations. 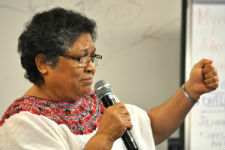 She described the process indigenous peoples have undertaken to gain voice at the UN. Ms. Cunningham articulated three key messages that have emerged out of this process: the indigenous are a people that need to be recognized, indigenous peoples have their own voice, and culture cannot be ignored in development. 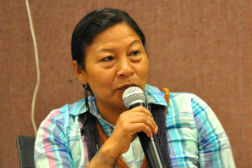 She celebrated that indigenous peoples are more visible today; however, she outlined a number of inequalities that remain. 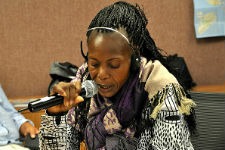 Moving forward, she called for attention on the disproportionate effects of illiteracy, maternal mortality, disease transmission and poverty on indigenous peoples. Ms. Cunningham emphasized the necessity of organization and unification of different indigenous peoples to address shared concerns. “Things don’t happen because you have a document. Things happen because you are well organized.” She invited the participants to join forces with one another for “governments listen to us because we have one voice. If we had ten voices, they wouldn’t listen to us”. Ms. Cunningham’s presentation provoked a lively discussion. 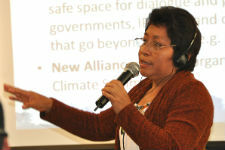 Leydy Martín noted that measures to protect indigenous rights have been approved in Mexico; however, these efforts have been nominal and the government most often serves as an opponent instead of a partner. 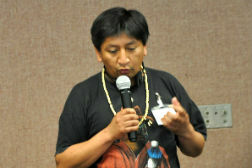 Other localized issues were shared including indigenous people in India caught in armed struggle and efforts in Ecuador stifled by multinational corporations’ agendas. 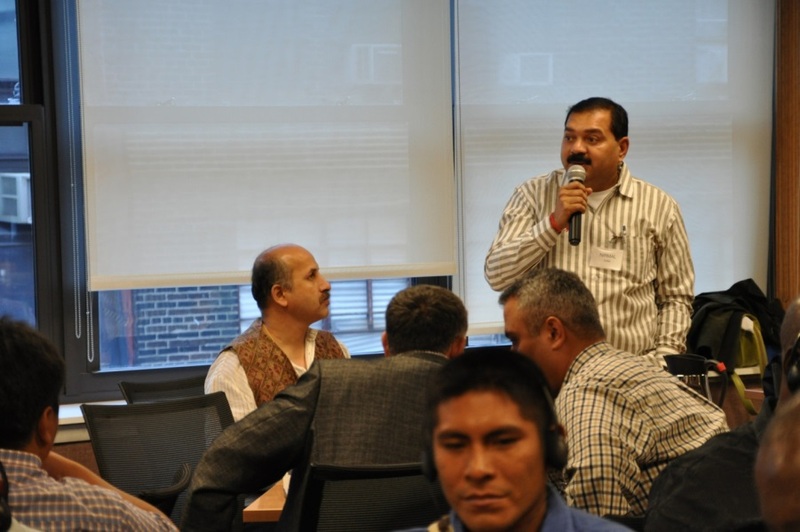 Lastly, representatives from Haiti, Morocco and Ecuador raised concerns regarding the outcome document’s impact since poor infrastructure makes information dissemination onerous for indigenous peoples to learn about the rights granted to them from such a document. 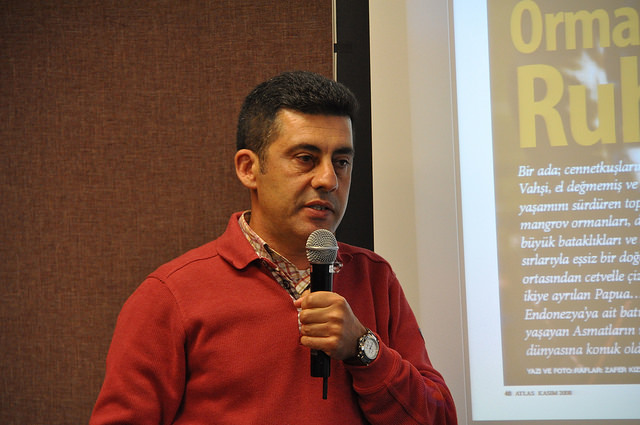 Zafer Ali Kizilkaya of the Mediterranean Conservation Society demonstrated the importance of photographs and visceral imaging in presenting the works of community based projects. 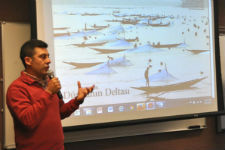 He presented a series of examples including an illegal shrimp-larvae farming operation in Bangladesh. The images clearly displayed the extreme poverty and environmental degradation caused by such an operation. 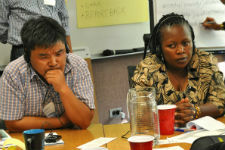 Participants heard of the great potential that visual presentations carry to drive home an organization’s message. Cassie Flynn, the Climate Adviser to the United Nations Development Programme, spoke about the important role the Climate Summit plays in setting the post-2015 development agenda. 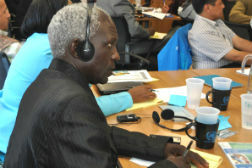 First, it will support countries in answering how to enact climate change policies in their national context. Secondly, it will support global transitions from ideas to practical work on climate change. The summit will be an opportunity to raise ambition for the Paris Agreement in 2015 which is slated to replace the Kyoto Protocol. This new agreement is anticipated to be more effective as all countries in the world, including the USA, are expected to participate. The summit aims to determine how climate change action can be advanced on the ground, specifically through leveraging financial support like the Green Climate Fund. 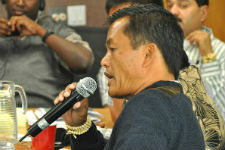 Community members raised questions regarding the gap between funding and country-level action. Ms. Flynn advised Equator Prize winners to consider seeking funds through three major channels for climate funding including GEF (Global Environment Facility), AF (Adaptation Fund), and GCF (Green Climate Fund).